Have you ever taken something apart with the intention of making it work better? 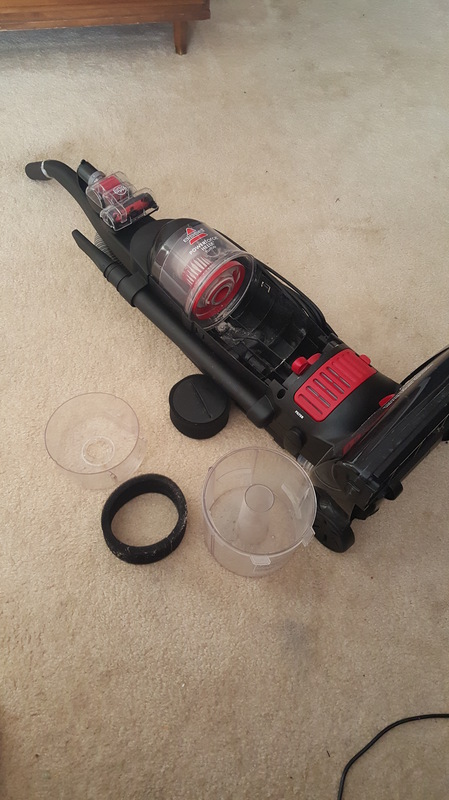 I took my vacuum apart to clean the filters to improve the suction power. (see the dirt on the carpet in the picture). After a week of trying to remember what part goes where and several attempts to put it back together, I’m completely overwhelmed, frustrated and questioning my intellect. Ugh, this is too simple of a task, to continue to struggle this way. My first mistake was I wasn’t giving it my full attention. See, I assumed this would be quick and easy so I was texting and cleaning and doing laundry while trying to put it back together. I quickly learned this can’t be quick and easy or simple when I don’t focus. I had to walk away, calm down, release the frustration and try again; This time giving my full attention. The second struggle to successfully get the vacuum together was I thought (wrongly) I remembered where everything went. I tried to put it back together based on memory (assumptions), rather than evaluating the pieces and logically putting them back based on that evaluation. When I stopped, refocused, and reevaluated the situation, I was able to put it back together in less than 5 minutes. Sometimes things aren’t quick and easy and simple because of your approach to the task. K. I. S.S. (Keep it simple sweetie!) Nicole! Tags: keep it simple stupid, kiss, kiss system, vacuum. Bookmark the permalink. Previous post ← My Oprah-esque Reflection: My ah ha moment.